A former police officer from Sussex who leaked details of the Milly Dowler investigation to the Sun newspaper has been jailed for 18 months. Over the course of more than a decade, Simon Quinn, 43, from Horsham, made £7,000 from tips to the tabloid while he worked as a detective constable at Surrey Police. Quinn was arrested in April 2013 and pleaded guilty at Kingston Crown Court last October to committing misconduct in public office. 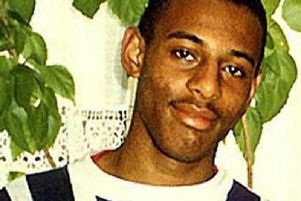 The court heard that, between November 2000 and January 2011, he passed on information to a journalist about murder inquiries, including the investigation into the death of 13-year-old Milly from Surrey. Before resigning in 2011, he also supplied details of cases involving celebrities, both as victims and suspects. Following his Old Bailey sentencing, detective chief superintendent Gordon Briggs said: “Quinn is the ninth police officer, and the 27th public official, to have been convicted for passing confidential information acquired in the course of their duties to journalists for financial gain. “Trust and confidence in the police service is undermined when police officers behave in this way and the public interest is harmed. Their dishonest actions merit criminal convictions. “It is the role of a police officer to serve and protect. Leaking sensitive and confidential information is an abuse of the trust the public hold in us.